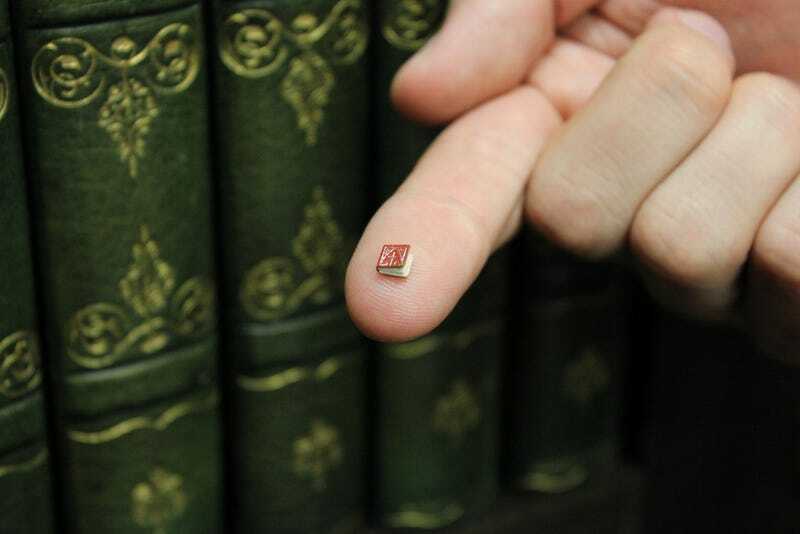 The University of Iowa library has more than 4,000 miniature books in its collection. 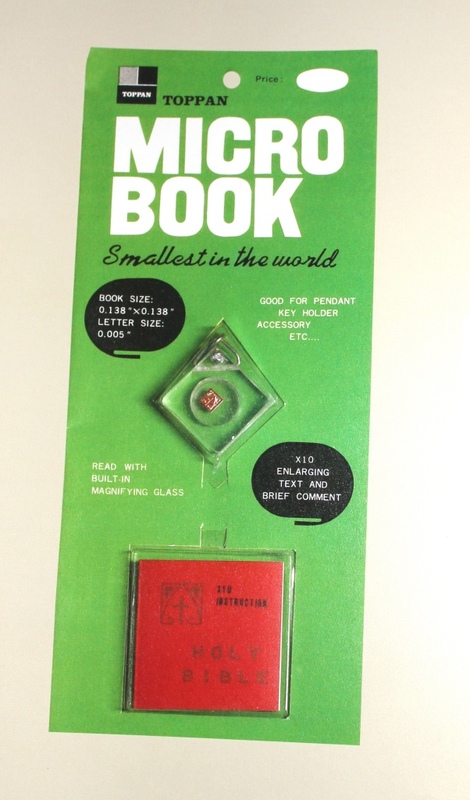 The smallest one of all, though, manages to stand out from the rest by measuring in at an itty-bitty 0.138 inches square and 0.04 inches thick. And as The Atlantic uncovered, researchers have only just found out what text this tiny tome is holding, thanks to a new microscope. Up until now, pretty much everything about the little book's origins was unknown to the library staff. The golden cross painted on the cover told them it was likely a bible, but other than that, they were at a total loss for where it came from and what it might hold. According to librarian Colleen Theisen, who found it in a box labeled "mircominiatures," it was the "most perplexing" item in the collection—none of the text could be read with human eyes alone. When Theisen put up a post on the library's special collections' Tumblr and Facebook, the library's conservator, Giselle Simón, took note of the mystery and prompted Theisen to go at it with the library's brand new microscope. As soon as Theisen carefully peeled apart the miniscule pages, she got what she'd been looking for—the book's publisher, Toppan Printing Co., LTD. And she was able to see this info despite the fact that the page had under gone a wee bit of damage form prior perusing attempts. —although the larger book does so with a font 10 times as big as its little(r) friend.